Please visit some of Funtastic Faces Favourite websites!! Your one stop shop for face & body painting in Perth WA!! Professional face & body products including TAG, Global, Ben Nye, Mehron/ Paradise, Amerikan Body Art and so much more!! 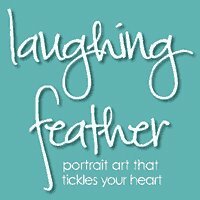 Laughing Feather Portrait Art that tickles your heart! Laughing Feather aims to provide personalised photographic portrait service of Pregnancies, Newborns and Children in a fun and relaxed environment. Affordable Bouncy.Jumping Castles for hire in Perth, WA!! Living Balance Wellness Centre is dedicated in helping you achieve your maximum health potential through a number of natural treatment options. BEST 4 Baby skin care products are naturopathically created with the highest quality natural, organic and botanical ingredients for your baby and the whole family!